Long Wines recently hosted one of their Chinese export partners on a visit to various wineries in the Long Wines portfolio. 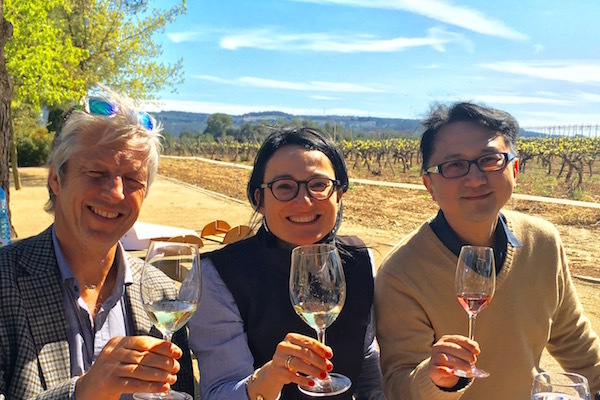 The senior team from Camenae Asia Company Ltd, based in Shanghai, visited suppliers in Campo de Borja, the Frontonio Garage Winery in Valdejalón and several vineyards across Catalunya, including the Can Petit winery in Penedès. The Camanae wine business is run by a couple from Hong Kong who are WSET approved programme providers and offer a range of fine wines, along with wine education courses, to the Chinese market. Long Wines, which already exports several different brands to China, will also be participating in two Spanish Food and Wine open days in Nanjing on 16 May and Xiamen on 18 May, in which they will be showing award-winning Spanish wines including the Amalia range of still and sparkling wines, Can Petit Cava, Les Mines Priorat DOCa, Casa del Canto from DO Yecla, Chirico Gran Reserva from DO Catalunya, Castillo de Montoro and Botijo Rojo Garnacha from the IGP Valdejalón. Nanjing was ranked 15th in the Mckinsey Institute’s report of “The most dynamic cities in the World 2010-2015”, whilst Xiamen, one of China’s pioneering Special Economic Zones in China, is its 5th most important port of entry for wines and other agro-food products.